Can Driver Safety Laws Really Save Lives? Sometimes, it may seem as if there are laws and regulations about everything. While it may be a hassle to obey all of the driving laws, these rules exist for a reason. Speed limits, for example, help to make sure you don’t go too fast and get out of control. Yield signs outline who has the right-of-way. Each law, in other words, helps to dictate a safe behavior so that drivers don’t endanger themselves or others. The NHTSA tracks information on driving, driver safety laws and auto accidents and has recently taken a look at some of the data available on several key driver safety initiatives. NHTSA took a look at how many lives were saved in 2010 as a result of minimum drinking age laws and restraint use laws. Our Boston accident attorneys have reviewed the NHTSA Traffic Safety Facts on these laws and we believe that every driver should take note of how many lives have been saved by safety rules. When you consider the lives saved, it may encourage you to be vigilant about obeying the safety regulations yourself. Seat belt use saved 12,546 lives in 2010 alone. From 2006 to 2010, more than 69,000 lives have been saved by wearing seatbelts. Front air bags saved the lives of 2,306 people in 2010. This data included only occupants ages 13 and up since children under 12 years of age can be injured by air bags and should not be seated in the front car seat. In 2010, there were 550 people saved as a result of laws imposing a minimum drinking age. Motorcycle helmets saved an estimated 1,550 lives in 2010. Minimum drinking age laws forbidding those under 21 from having a drink saved an estimated 550 lives in 2010. Child safety seats or other child restraints saved 303 children ages four and under from being killed in auto accidents in 2010. 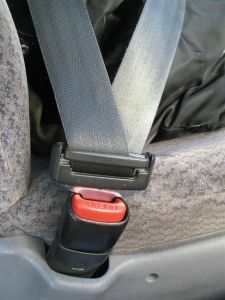 In Massachusetts alone, 83 adults over the age of five were saved by the use of seat belts in 2010. Another 23 were saved by frontal air bags while 29 were saved due to the use of motorcycle helmets. If 100 percent of drivers worse seat belts as required, 3,341 more lives would have been saved in 2010. If 100 percent of motorcycle riders wore helmets, 706 motorcycle accident deaths could have been avoided in 2010. In Massachusetts, if 100 percent of drivers wore restrains, there would be 48 lives saved from auto accident deaths. This information from NHTSA reveals just how important a role driver safety laws can play in avoiding car accident deaths. Of course, every driver should take responsibility for himself, buckling up and driving carefully to keep himself safe and to avoid causing a crash that injures others.